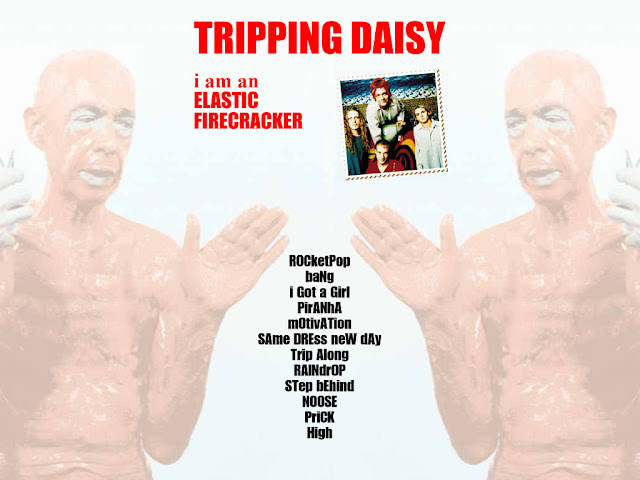 In 1995, little known band Tripping Daisy released their second album "I am an Elastic Firecracker" and it remains one of my top favorite albums. And though the band was categorized within the alternative genre, they can be better described as a neo psychedelic pop rock band. 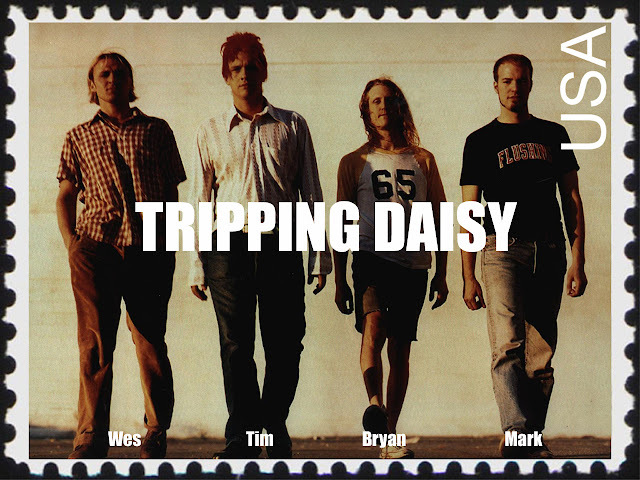 Unlike any other bands at that time, and still to this day, Tripping Daisy's sound is quite simply their own. There is much debate over which of their albums is best, most focusing on 1998's "Jesus Hits Like The Atom Bomb" but for me, they had perfected a very specific combination of psychedelia and pop with "I am an Elastic Firecracker". 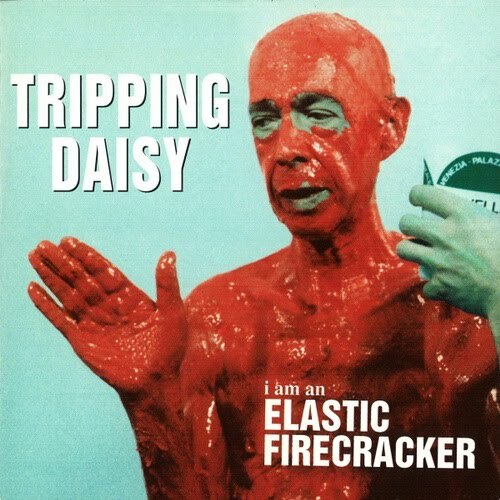 Album cover for "I am an Elastic Firecracker"
Dallas, Texas band Tripping Daisy included various band mates throughout their career but the line up for "Elastic Firecracker" was Tim DeLaughter (vocals, guitar), Wes Berggren (lead guitars, keyboards), Mark Pirro (bass) and Bryan Wakeland (drums). I remember when I heard "My Umbrella" from their debut album "Bill" for the first time. I was in Jr. High and curious of this strange sound coming from the radio. The Internet wasn't around yet so not much was known of this band. As soon as I could, I bought "Bill" and it was after hearing it that I began to distance myself from conventional music. This was different and weird in all the best ways possible. It was also the first album where I discovered hidden tracks (at the end of the album there is a bonus story reading by Tim DeLaughter with music accompaniment entitled "Pink Jelly"). For me, nothing would be the same musically. 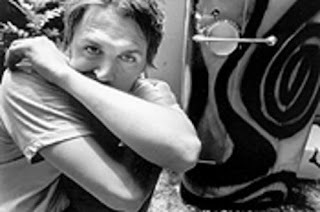 I began to explore more and more music genres and losing my understanding of the popularity of standard pop music. I remember asking myself: Why would anyone want to hear the same junk when there's so much more out there to discover? Album cover for debut "Bill"
And because there was no Internet, there weren't many outlets for bands to announce new gigs or albums. 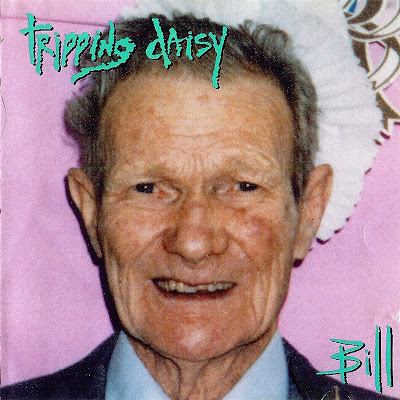 By the time I was in college my then girlfriend asked me what I thought of the new Tripping Daisy album. My eyes widened as I asked her what she was talking about. She knew I was a fan so she was especially surprised that I was unaware. Fortunately, she let me borrow her copy of it I instantly fell in love...with the album, not her. Not long after I borrowed her copy did I start to hear their popular single "I Got A Girl" on the radio. And though it's a fun pop tune, it was nothing compared to the rest of the album. "Elastic Firecracker" had something that other bands could never have: Tim, Wes, Mark and Bryan. It's because of these four gentlemen that the album sounds the way it does. They possess both technical and heartfelt talent. The epic 9-minute track "Prick" is a great example of a band in tune with each other's composition and emotional talent. Listening to Wes's innocent guitar intro to the song, you're almost not prepared for the loud, distorted guitar riff about to unleash. Added to that is Tim's laugh-yell of "Hey-hey-hey-ha-ha-ha" creating a somewhat feeling of mockery towards the protagonist of the story. And it's the mystery of the story that raises the song to a higher level. Though I could be wrong, my interpretation of the song is of a boy trying to understand the persistent drug use of his older brother. And with the older brother's childlike behavior, there is confusion as to who the story is truly about. The track gathers momentum throughout the song and by around the 5 minute mark you're about to witness the sound of a guitar on speed. A visual of a young man running around in fast-forward enters my mind as Wes's guitar work takes flight. It's a perfect guitar solo for a song about addiction. And to their credit, his fellow bandmates don't try to compete but instead help support. And it's this instinctive behavior of the band that makes their music work so well. Wallpaper for "I am an Elastic Firecracker"
The song is followed by the mellow and optimistic song "High". It's not what you'd expect after hearing such a loud tune but an incredible way to feel that calm moment after a terrible storm. Nothing from Tripping Daisy is expected which adds to their appeal. They're not experimental for the sake of being weird, it's clear they challenge the format of a song for the sake of the music. Wes's work on this album is astonishing, which made it all that much worse when he was discovered dead from an overdose in October of 1999. Fortunately the band was able to record 2 more studio records (and some EPs) after "Elastic Firecracker" but sadly the band could not progress without Wes. A bold, respectful move from such a critically adored band. Instead the main trio (Tim, Mark, Bryan) as well as some of the future bandmates formed the band "The Polyphonic Spree" a 20+ group with the innovation of Tripping Daisy combined with sound of a psychedelic choir. But it's "Elastic Firecracker" that took their unusual sound from "Bill" and raised the bar for their songwriting skills. From the unconventional themes of prostitution ("Same Dress, New Day"), human behavior ("Raindrop") and ill-fated love ("I Got A Girl"), the album is more than just a collection of pop tunes. It's well ahead of its time and an excellent example of thematic storytelling without the exhaustion of most concept albums. One could even call it a concept album in the form of crib notes. TRIVIA: A book of stamps was included within the original packaging of the "I am an Elastic Firecracker" CD.